The conclusions of special counsel Robert Mueller's report on President Donald Trump will be sent to Congress at approximately 3:45 p.m. ET, a Department of Justice official says. The summary findings will be transmitted to lawmakers by Attorney General William Barr and they are expected to be made public a short time after. 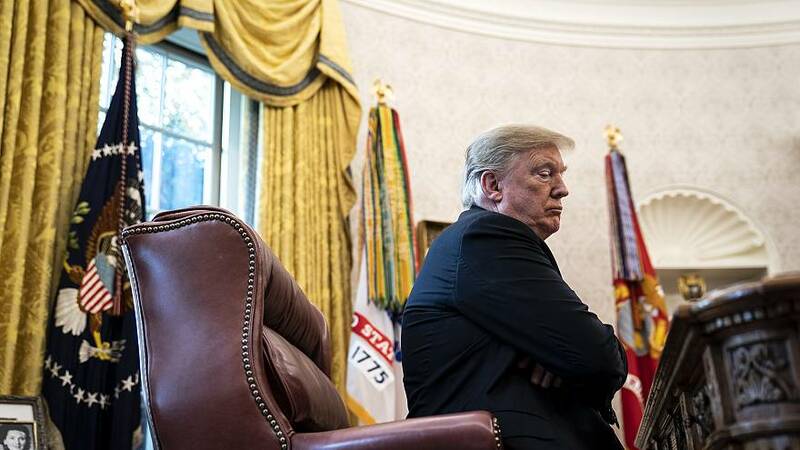 Providing the information to lawmakers comes after the transmission of Mueller's report to Barr on Friday that concluded an investigation which has resulted in the indictments of 34 people, infuriated the president and threw the administration into turmoil. The long-awaited end of the probe came almost two years after Mueller was appointedby Deputy Attorney General Rod Rosenstein to investigate "any links and/or coordination between the Russian government and individuals associated with the campaign of President Donald Trump" and "any matters that arose or may arise directly from the investigation." Trump refused be interviewed with Mueller — his lawyers said they were concerned about a "perjury trap" — but he did submit written responses to the special counsel's questionsin November. That fueled law enforcement concerns that Trump was trying to obstruct the investigation — fears that were heightened a day after the firing, when he hosted two Russian diplomats in the Oval Office. "I just fired the head of the FBI. He wascrazy, a real nut job," Trump told them, according to The New York Times. "I faced great pressure because of Russia. That's taken off." Check back for updates; this is a developing story.